We got the yellow submarines that everybody wants to live in! 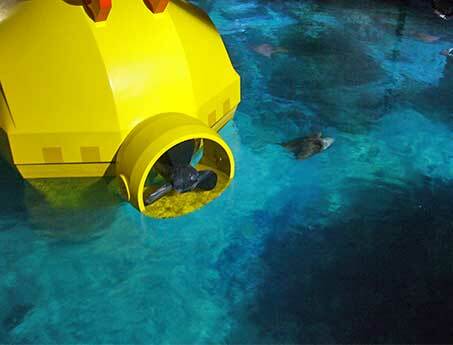 The unique combination of marine life and dark ride attraction is coming to life by our submarine vessels. Equipped with 12 seats each offering stunning views into the fish tanks that surround you. So get on board and become a marine biologist!